Whilst still a confusing concept to some in the West, China’s Belt and Road (B&R) initiative – launched three years ago – is now gaining significant traction. The ambitious project – effectively linking trade in around 60 Asian and European countries along a new Silk Road – is China’s most important strategic initiative, and a crucial component of President Xi’s foreign policy. China has now signed project contracts worth USD926 billion with over 60 countries along B&R. A series of cross-border infrastructure projects are in construction, such as a new China-Laos railway, a highway in Pakistan and a port in Vietnam. "China’s infrastructure projects will expand quickly to more countries and regions"
So far, China’s infrastructure projects are mainly in Southeast and Western Asia, but we believe they will expand quickly to more countries and regions. We also expect more Chinese companies and private funds to join B&R projects in the future, provided the government-led projects prove successful. Already, the B&R initiative has boosted trade and investment considerably. Trade between China and countries along the land and sea-based routes exceeded USD1 trillion in 2015, a quarter of China’s total trade value. China’s exports to B&R countries now exceed those to the US and the European Union (China’s top two export destinations), and the gap is widening. China has developed over 50 overseas economic and trade cooperation zones with countries along B&R, and has expanded its free trade zones trial from four to seven provinces, including inland regions, which will help push B&R investment projects, simplify cross-broader transactions and improve trade liberalisation. B&R has also accelerated China’s shift from being the world’s biggest goods exporter to becoming a major capital exporter. China’s outbound direct investment (ODI) to countries along B&R grew 23.8 percent year-on-year in 2015, and was up 60 per cent year-on-year in the first half of this year. We expect China’s cumulative non-financial ODI to reach an impressive USD2 trillion by 2020, more than a doubling of end-2015 levels. Another important effect of B&R is internationalisation in the Chinese currency. So far, China has expanded its bilateral local-currency swap programmes to 21 countries along B&R, granted renminbi quotas to institutional investors in seven countries, and set up renminbi settlement banks in eight countries. These steps have helped renminbi trade settlement increase to more than 25 per cent of China’s trade in early 2016, from a mere 5 per cent at the beginning of 2012. Renminbi trade settlement is set to be boosted further as Chinese companies pursue opportunities along B&R. New financing mechanisms, set up by China, demonstrates the leadership’s strong commitment to B&R. China has encouraged commercial banks, quasi-official regional cooperation funds and private capital to participate in B&R projects, to boost limited official resources and make projects more commercial. Despite the progress, obstacles to the B&R initiative persist. Projects in some countries have been suspended or postponed, highlighting the need for China to address concerns about outcomes and costs. B&R is not a foreign aid programme, but a commercial project which requires participating countries to make a long-term commitment and contribute investment. The Chinese leadership has called for better coordination among participating countries, but, to achieve this, China will need to articulate clearly the mutual economic benefits of the initiative, and demonstrate through existing projects that B&R will create jobs, improve trade connections and improve living standards. Meanwhile, the Chinese companies leading the investments need to gain more experience and knowledge in operating and investing in B&R countries, navigating debt, foreign exchange and geopolitical risk. These risks can be mitigated, as long as companies conduct project assessments and implement appropriate risk management before operating – using credit insurance protection and overseas investment service platforms to help manage the projects. We think China could make it easier for private companies to control their risks, by encouraging multilateral institutions to participate in projects, and by continuing to promote international adoption of the renminbi. "Uncertainty around the trans-Atlantic and trans-Pacific trade deals amid Donald Trump’s victory could renew efforts for alternative regional trade deals"
The B&R initiative is undeniably important to China’s growth prospects, but the initiative goes far beyond benefiting China, especially given today’s economic headwinds. The uncertainty around the US-led trans-Atlantic and trans-Pacific trade deals amid Donald Trump’s election victory, along with the rising risk of an anti-globalisation push by the US, could renew efforts for alternative regional trade deals. If implemented effectively, the B&R initiative will improve global trade and commodity demand at a time of rising uncertainty, bringing a much-needed boost to global growth. 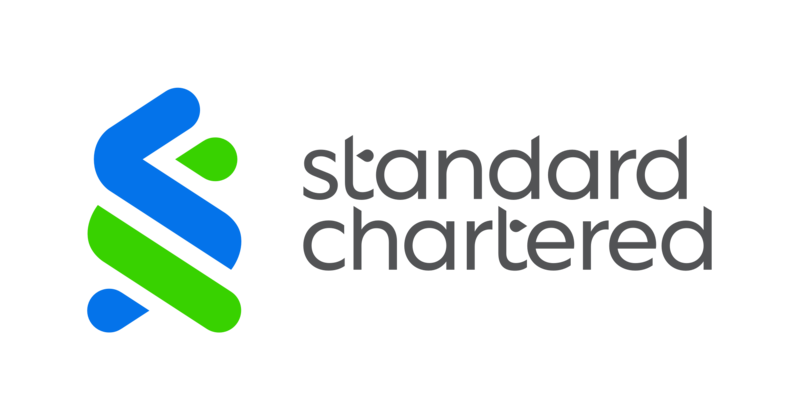 Important disclosures regarding Standard Chartered Global Research content can be found in the Global Research Terms & Conditions.